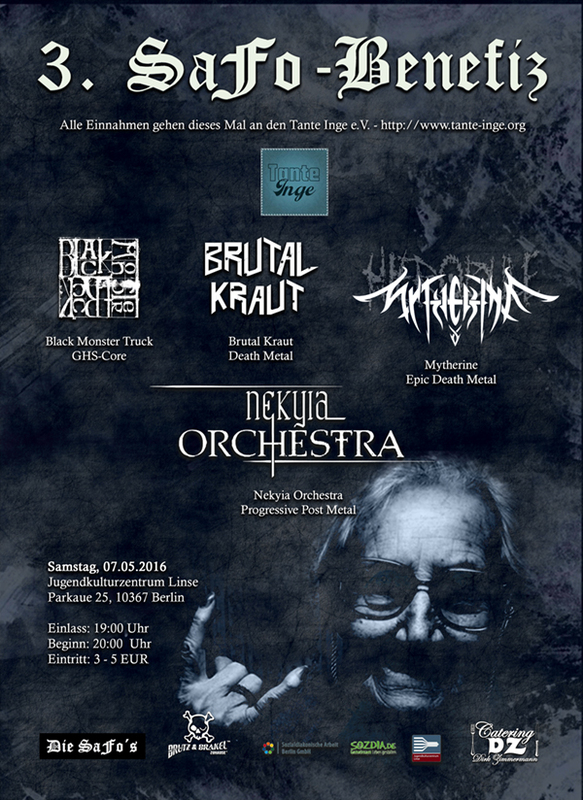 In the 3rd round of SaFo’s charity concert on May 7th we will share the stage with Black Monster Truck, Brutal Kraut and Nekyia Orchestra to support the Tante Inge e.V. which dedicates itself to help elderly, lonely people. We are proud to anounce our next gig where we will support Gorilla Monsoon at the Club Steelbruch in Eisenhüttenstadt. 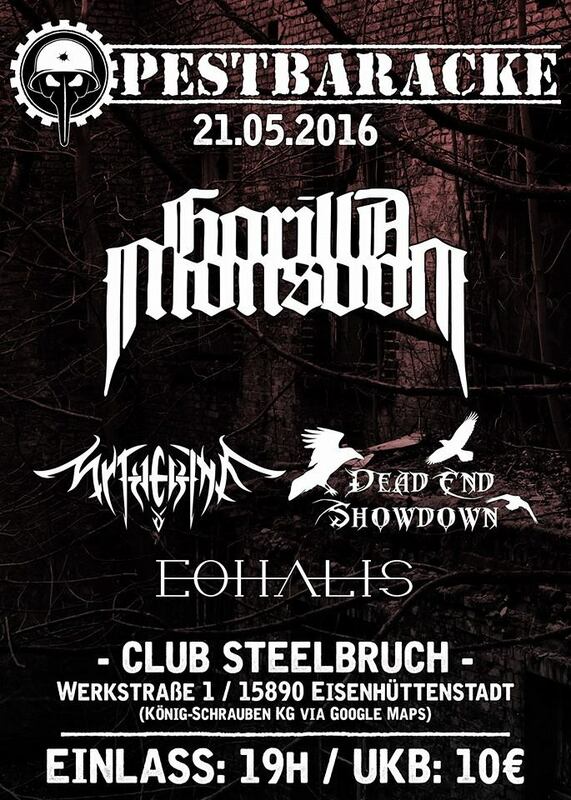 This is a frequently repeated event called Pestbaracke and we will share the stage with Dead End Showdown and Eohalis before the main act at May 21st. Save the date! We have gained the third place out of four bands but we are as happy as Iron Kindl Pest who made the first one. In the end we are all winners and participated in a great festival and weekend. Happy Valentine’s Day everone! This saturday we will finally have our first gig this year at the same location where we’d have our very first gig. 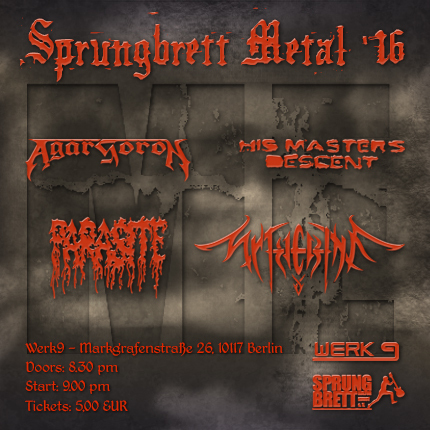 It’s been almost exactly 20 months since we performed at Werk9 in Berlin and we are excited and proud to share the stage with Agar Soron, His Masters Descent and Parasite in only 3 days. Get your ticket on site for just 5 bucks and let’s have a great evening together. See you there! We did it! 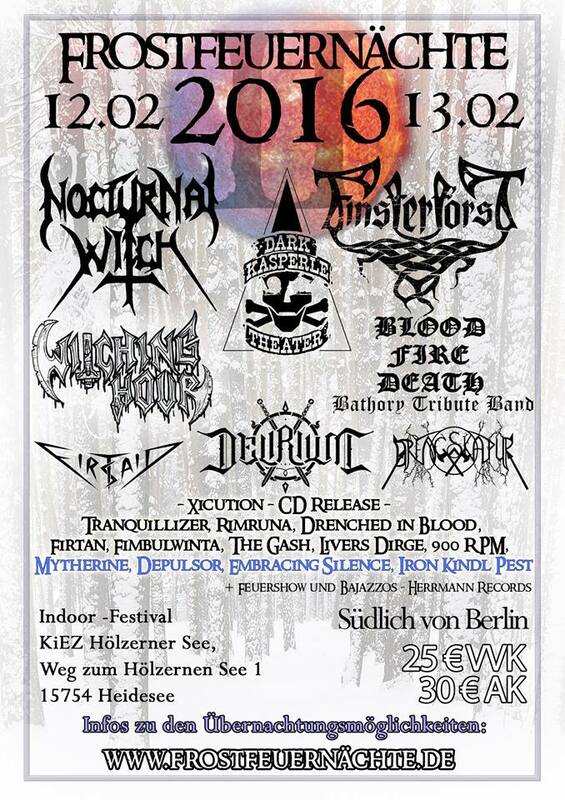 Thanks to your overwhelming support we not only managed to be one of the 4 bands to get a slot in the band contest at the Frostfeuernächte 2016, we even made it up to the first place. This means nothing for the voting but a lot to us. We are really thankful for it and we promise to give everything on stage as always! Here is our new merchandise - "Conquering Horizons AF2019! ".